FORTY8 is well known for its underground competence. 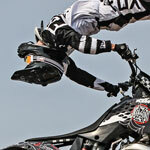 It’s obvious to talk with amateur riders about their passion – FMX. 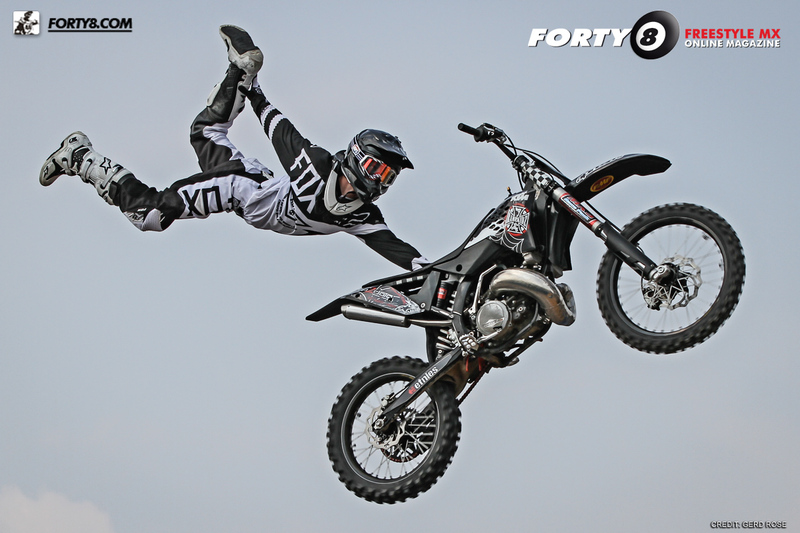 Today we want to present you one of the greatest German FMX rookies. He has a smooth style with awesome extension and a great bag of tricks. 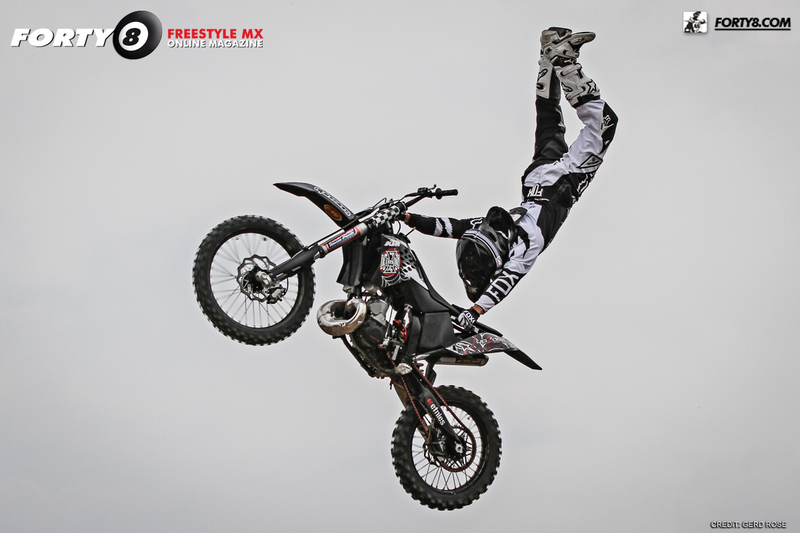 We are talking about Germanies upcoming freestyle motocross star Christian Kleiner. We chatted with Christian to get more information about him. Hello Christian, first of all let's start with some basics. What's your age, where are you coming from and what is your mission? 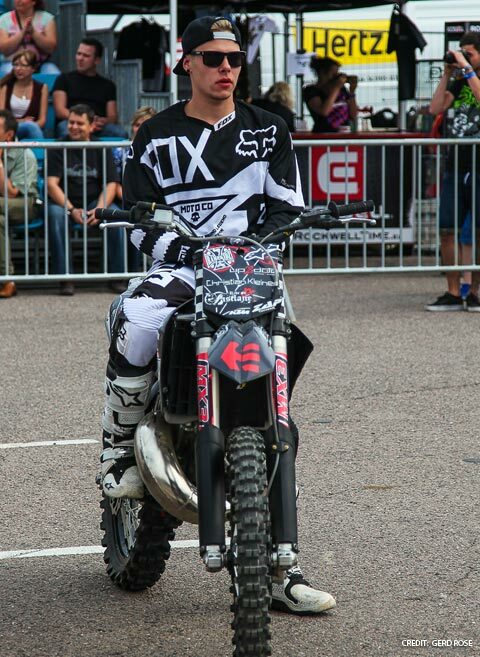 Hey, my name is Christian Kleiner, I´m 21 years and I ride FMX. I'm living in a small village in Thuringia/Germany called Flinsberg. 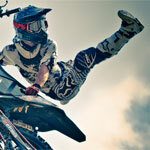 did you start riding MX bikes and what affected you to do FMX? In the age of 13 my Dad bought me my first MX-Bike - it was a Suzuki RM 125 ccm. I spent a lot time on the MX-track. 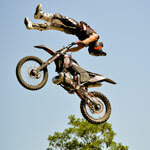 After seeing my first FMX show in Niederdorla (compound of Hannes and Luc Ackermann) I was infected with FMX. 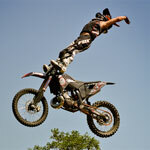 I started to do MTB-tricks on the MX-bike. In the age of 15 I built my first a 8 meter radius ramp to train continuously. 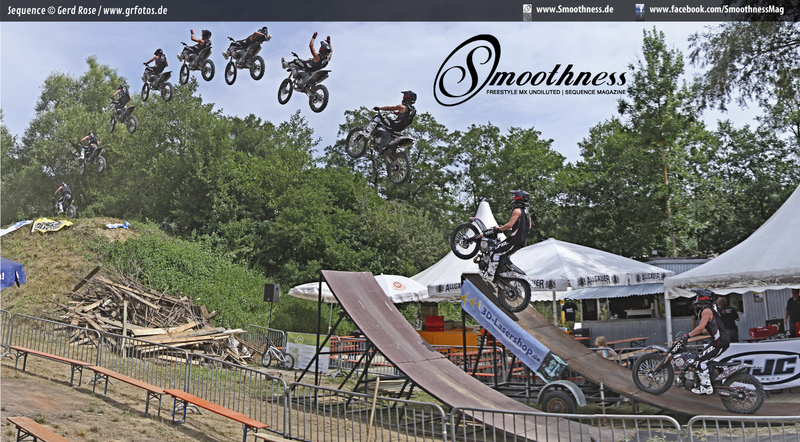 In 2010 I rode my first contest at the "Flight-Club" and a few months later I took a part in the German Championship. Yes, I have an own compound with two ramps, a funbox and a big Landing. My friends and training partners Hannes and Luc Ackermann live really close to my place. They supported me a lot. I have learned even more tricks and I made my first backflip into their foampit. This year I mostly trained by myself on my compound and sometimes with Lukas Weis. 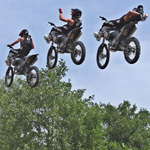 These guys are all FMX pros and the training with them was really inspiring. Your extension is really great. Especially your Deadbody looks really smooth. Are you more focused on doing great extended tricks than doing many tricks without extention? I love great extended tricks and in the future I want to learn even more of them. 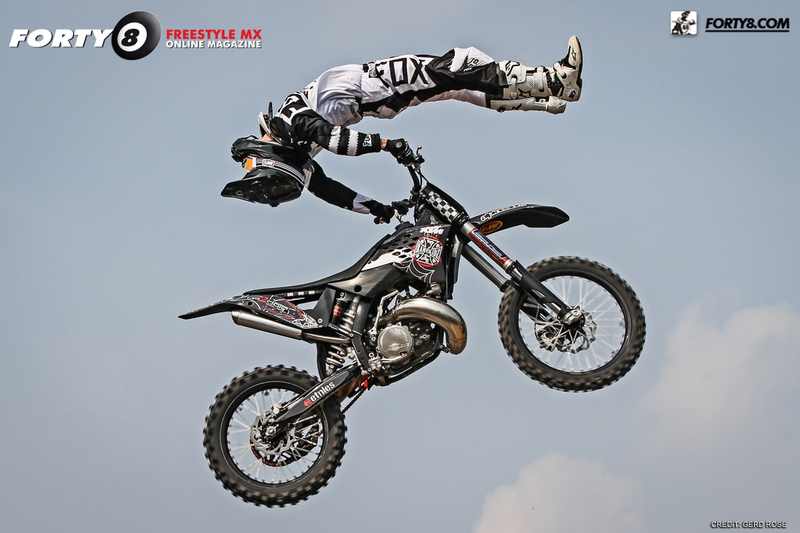 But in FMX you have also to show harder tricks like Flip Combos or Bodyvarials to be successful in comps. 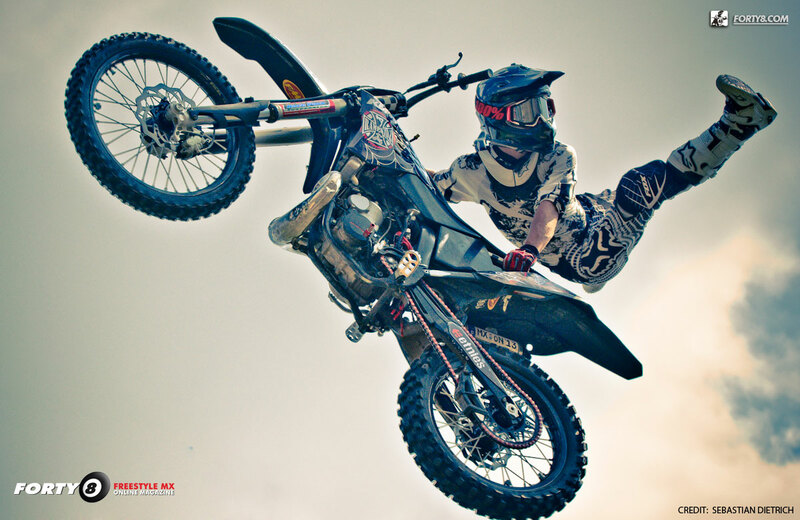 For this reason my plan is to train these tricks in 2014. 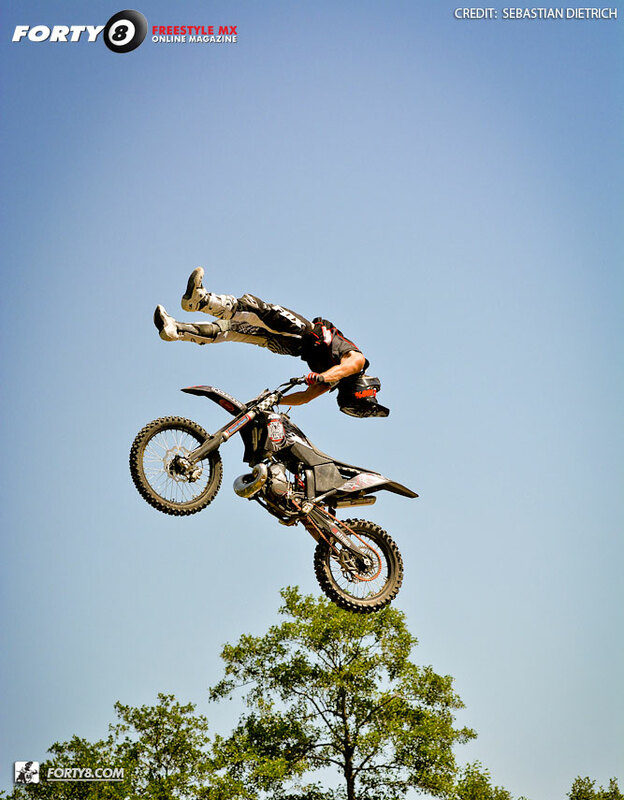 First I want to get dialed the Backflip on dirt. Furthermore I would like to be more successful in this sport focusing on a creative and innovative style. 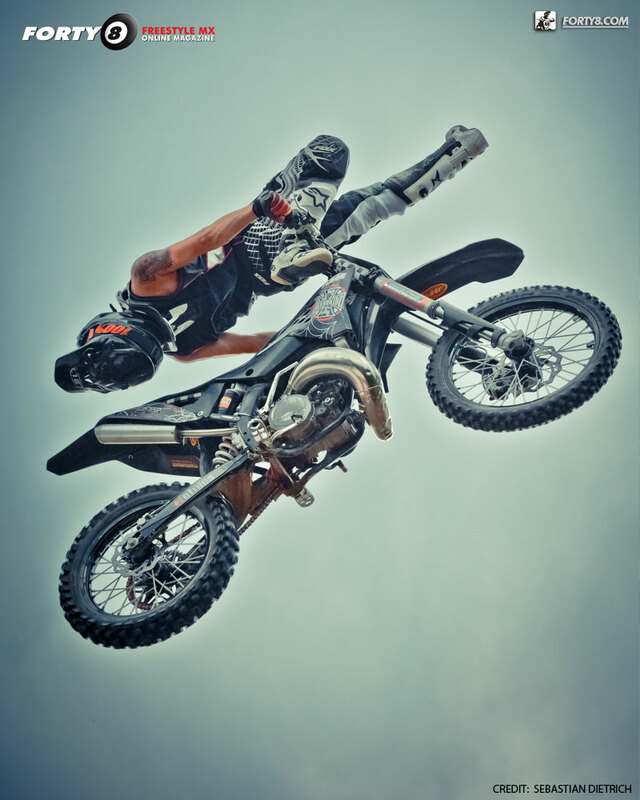 Any series and contests you're interested to ride? At the Flight Club series, I've met a lot of good riders and friends. Next year I'd like to attend there again and I look forward having a good time with my buddies. I also have planned to ride in the USA. 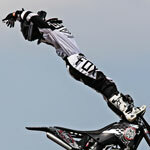 Another big dream is to ride all big FMX contests in my live. What are you doing in your freetime beside 2-wheelers? I am working as a mechatronic and I do some other sports (not soccer!). I like to spend time with my friends such as barbecue, paintball or party. In the wintertime I have a lot of fun on my snowboard. Is there something you want to tell your sponsors family and friends? First of all I want to thank my parents. 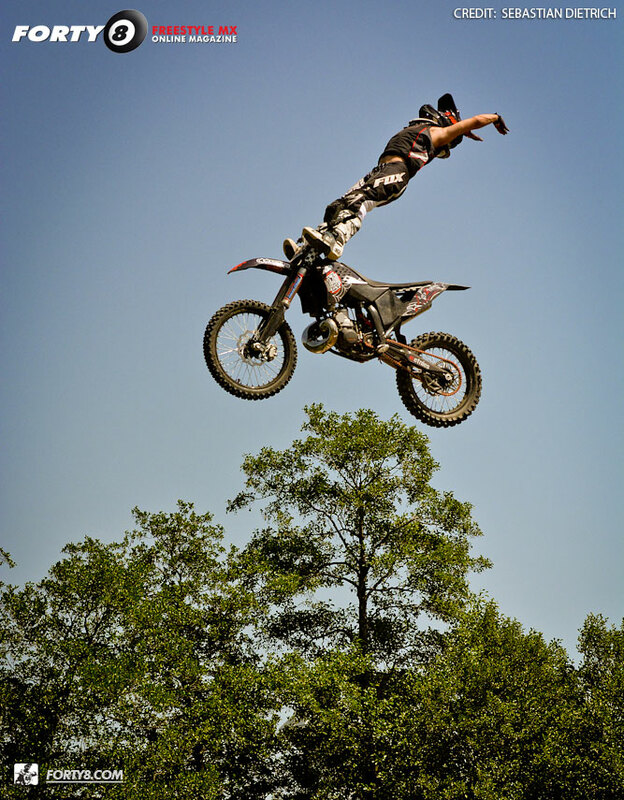 They always stand behind me and helped me living my FMX dream. Also big thanks to my friends and sponsors for all the great support. And of course, to forty8.com for giving me the chance to introduce myself! Thx 4 chatting with us. Good Luck 4 the Future!